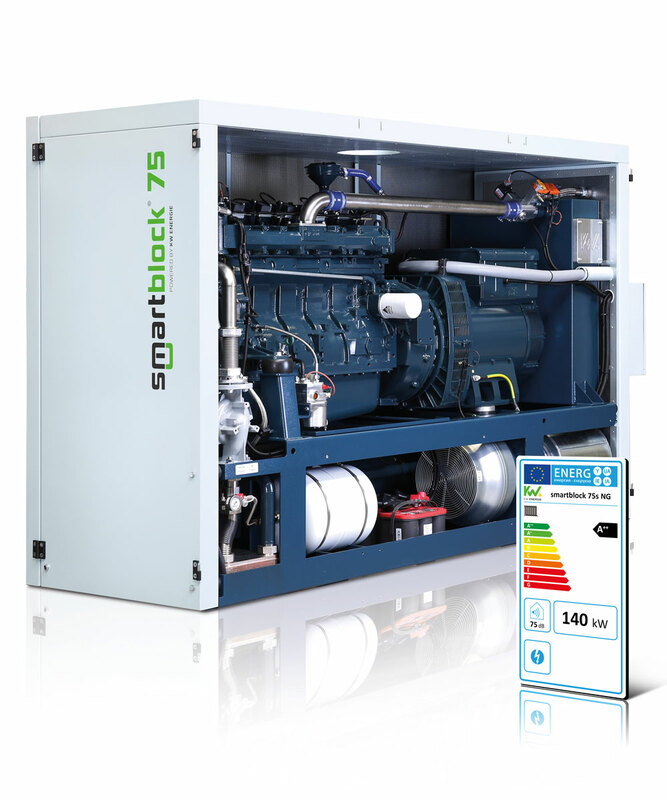 Our most powerful smartblock is often found in industrial installations, clinics are very large hotels with a high heat requirement all year round (such as wellness resorts) or in community installations such as indoor swimming pools or district heating systems. With its 75kW of electrical and 139.8kW of heating energy it is the perfect solution for installations with an annual power consumption in the region between 780,000 and 1,450,000kWh. Our strongest smartblock is often used in industrial applications, hospitals, large hotels with high heat requirements throughout the year (wellness resorts) or in public facilities such as swimming pools or a district heating network.